I've tried to include pertinent information in as few sheets as possible. Sorry, forgot to take out the parts in Spanish. 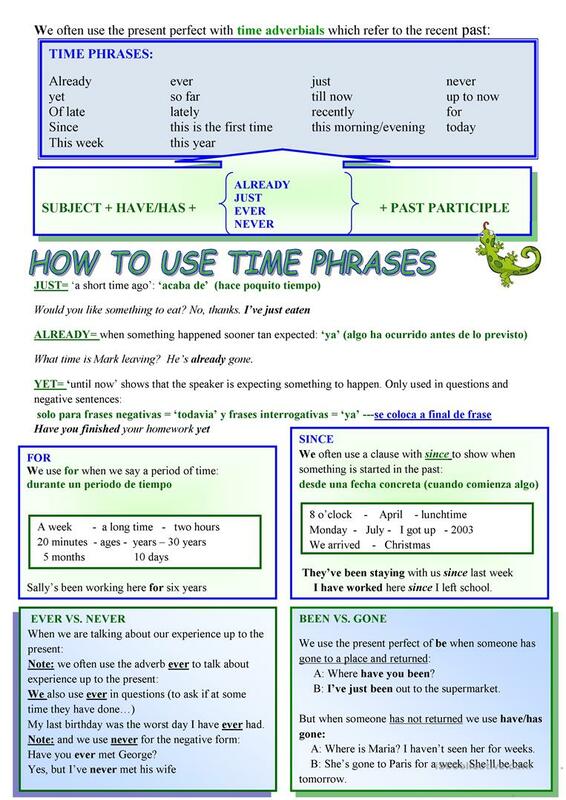 The present printable, downloadable handout is a great resource for high school students and adults at Pre-intermediate (A2), Intermediate (B1) and Upper-intermediate (B2) level. 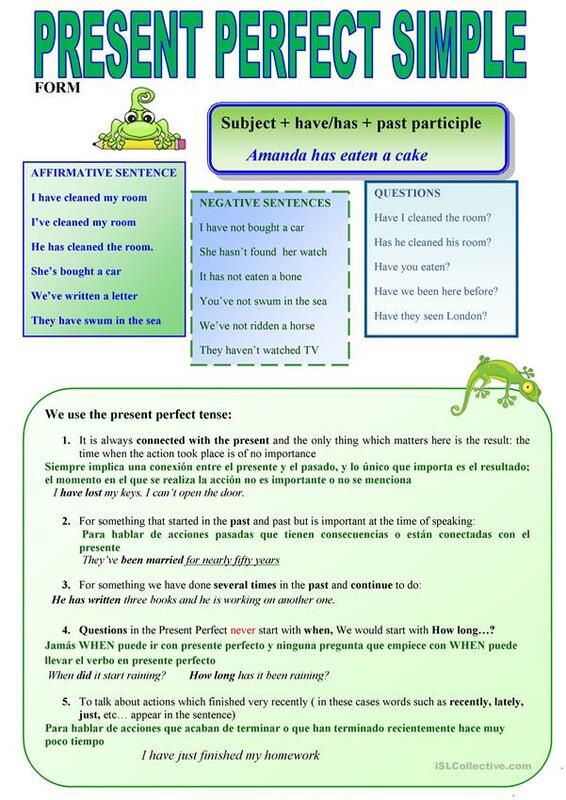 It is aimed at teaching Present perfect simple tense in English.